I guess we all think that we know lots about Iraq. It visits our sitting room every evening. There are snippets of tragic news on the radio every day and the very name incites strong emotions in many. But few of us have considered that war-torn land as having much of a culinary heritage. It’s true to say that the cooking canvas is less richly adorned than it once was. Violence and tyranny have taken its toll and a proportion of its people have fled, taking with them thousands of years of tradition and culture. Linda Dangoor was born in Baghdad but she left with her family when she was ten years old. But they still have their memories, and their recipes steeped in Iraqi-Jewish tradition that they continue to replicate wherever they settle. It’s a perennial truth that those exiled from home will view food as a precious link. 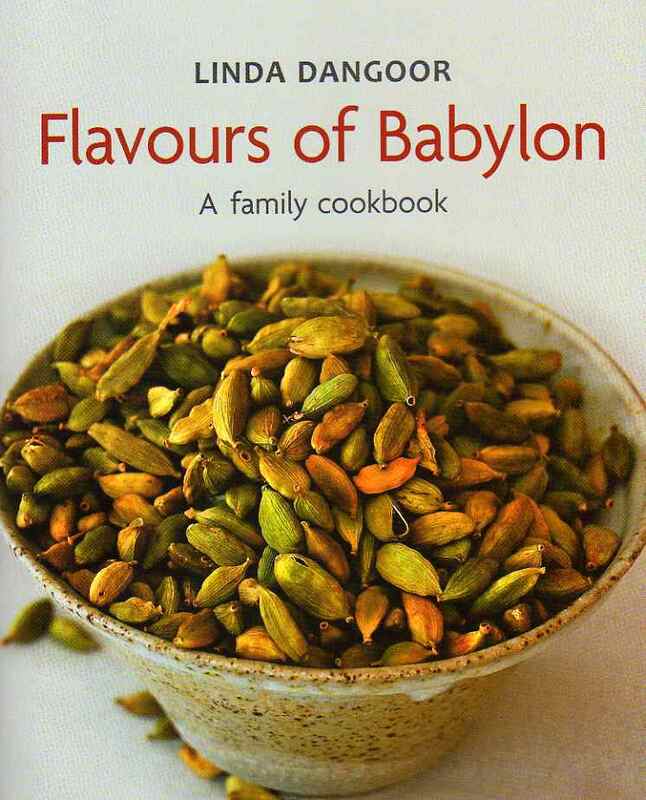 Flavours of Babylon presents Linda’s family recipes as well as some contemporary dishes. It’s a volume filled with delicious charm. The food is aromatic rather than fiery with spice. The flavours are delicate but well defined and there are many dishes that will be new to the British home cook. Nothing that will be too taxing for the novice, and there is plenty here to inspire the more-practised amateur chef. Turshi – pickled garlic and cucumbers – is a celebrated preserve. Linda offers a pickling paste to make in advance and to use for future batches of garlic and cucumbers. You will likely already have the necessary spices in your store cupboard and the vegetables are readily available. Mukhallala – pickled turnips – are the ubiquitous kebab accessory. You might not recognise the name but you will probably have already eaten them several times. They are those Barbie-pink vegetables that nestle amongst the other garnishes on the kebab-house cool-counter. Take them out of that unpromising environment and you have a crisp and fresh pickle to enjoy with your starters and salads. Mahasha – stuffed mixed vegetable platter – is a winner. Simple, delicious, economic and visually appealing. This recipe is for 4-5 people but it could easily be increased to feed a crowd. It incorporates tomatoes or red peppers, courgettes, onions and vine leaves to create a colourful tapestry. You’ll need a large shallow pan, or a couple of them if you are making a bigger batch. This is where that round metal roasting tin you bought on your last trip to Turkey will come in handy. An ideal summer lunch served with some crusty bread and a salad. Flavours of Babylon presents a raft of beautifully photographed recipes. All the ingredients are accessible to the British home cook. So many of these dishes are dearly-loved family favourites like Linda’s mother’s T’beet – slow cooked Sabbath chicken. Striking and good enough for a smart dinner party but so reasonably priced that one could enjoy it every week, just as Linda’s family have done for generations. This is a fascinating volume from this multi-talented lady who is perhaps better known as an artist and ceramicist. Linda Dangoor shows us a positive side of Iraqi culture shared by its exiled people. Iraq’s sad loss is our enriching gain.